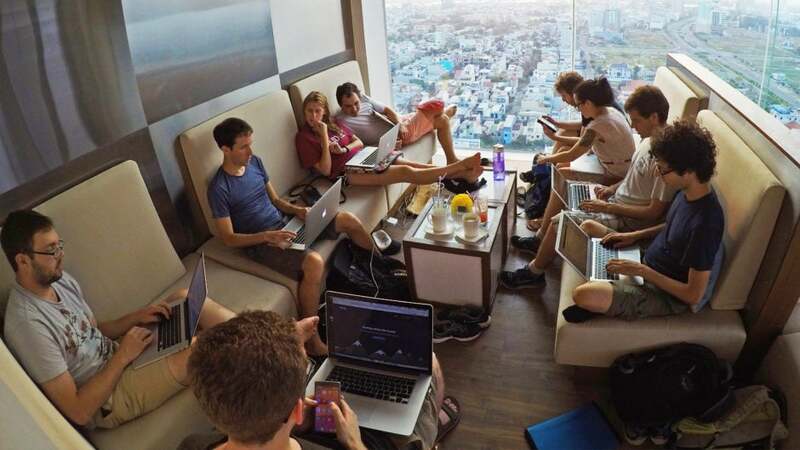 Coworking has become the new norm for burgeoning companies. With new spaces opening up everyday and established spaces expanding like it’s going out of style, the revolution is in full force. And with remote work becoming a popular perk, there is no sign of slowing down. However, there’s a lot of misinformation floating around about this new means of working remotely, preventing employees and founders alike from realizing their full potential. Fortunately, you’ve got us to dispel any myths of coworking that are plaguing your company’s productivity. Coworking may feel like it’s only for those of us who are our own boss. After all, the freedom to come and go as you please is only for budding entrepreneurs and startup founders, right? Wrong! Coworking spaces have become a hub for small companies and large companies alike, providing the space they need at a fraction of the cost of a dedicated office space. Yes, freelancers take advantage of these spaces, but don’t write them off before giving them a chance. Yes, coworking spaces are filled with like-minded entrepreneurs that are hustling and bustling on a daily basis. Many might view this as a bit distracting, overwhelming, or just down right annoying. However, being surrounded by these kinds of driven people is not only good for business, as it lets you expand your network, it’s also good for your personal productivity, as you’ll be more motivated than ever by these grinding entrepreneurs. Plus, every coworking space on the planet has quiet rooms that provide you the necessary solitude for getting those hard projects completed. Whether it’s amenities, members, or location, coworking spaces vary widely from place to place. It’s always important to research before you make a commitment. If you value a low price, there’s a coworking space for you. If you want more space for the growth of your company, you’ll be able to find somewhere to accommodate you. If you’re interested in a space that is committed to social good, it’s out there; just keep looking. While tech hubs like New York, Chicago, and the Bay Area are flushed with coworking spaces, their popularity has become a global phenomenon, spreading across the country faster than McDonald’s did back in the day. If you don’t think your small town has a coworking space near you, check again. If you’re picturing a small office space that won’t be able to give you the resources you need to get work done, you couldn’t be more wrong. These spaces almost always have printers, scanners, and plenty of plugs for whatever you might need to run your business. Plus, if free beer is a company necessity, there are a few that provide it at no extra cost. Not a bad perk to reward your employees with.